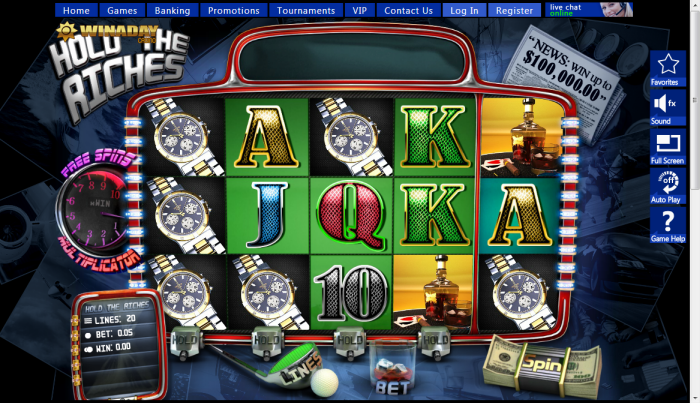 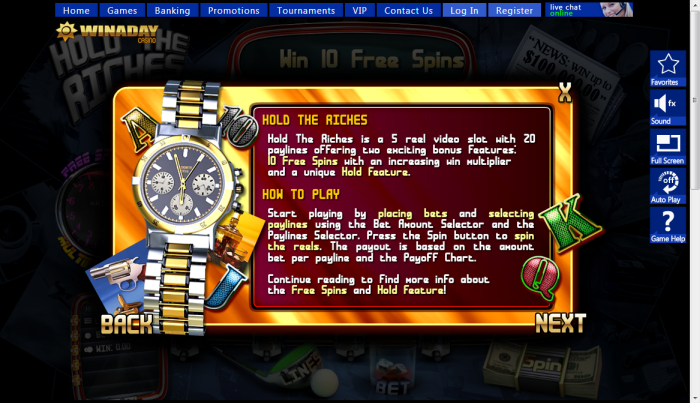 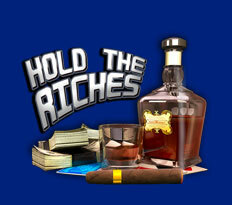 Overview: The slot game has five reels and twenty pay lines. 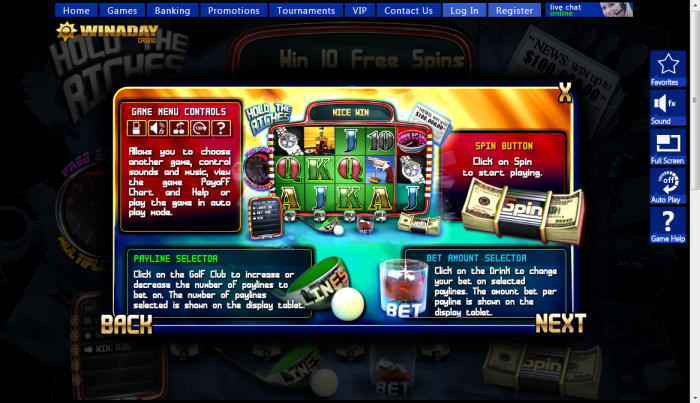 The values of the coins start from 5 cents and can go up to 50 cents. 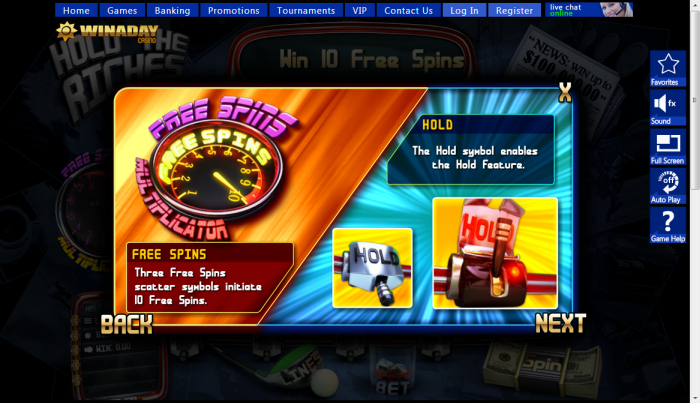 Although the game does not have a wild symbol, you should keep your eyes open for the scatter Free Spins and the hold feature. 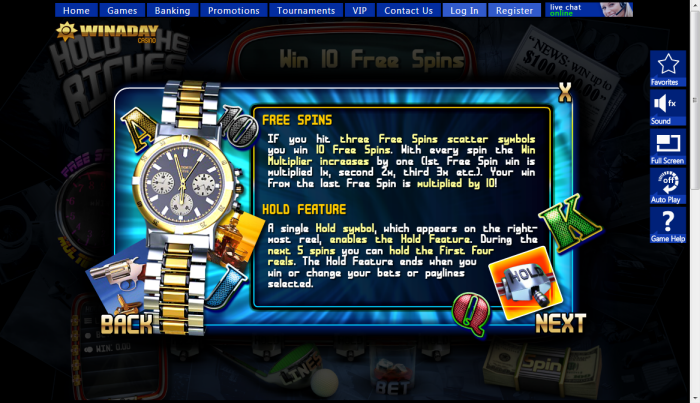 You can bet a maximum of $10 on one spin. 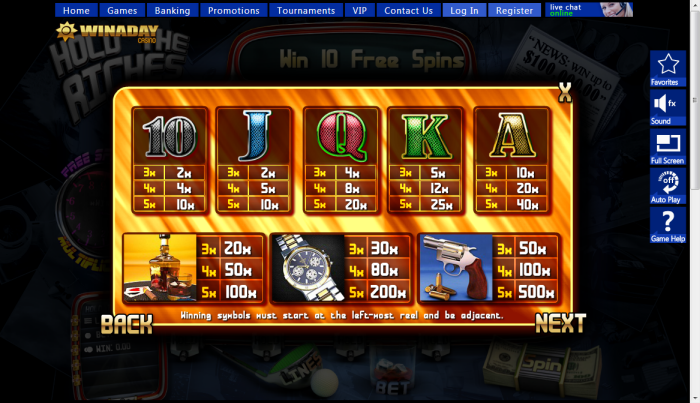 Similar Slots: If you like Hold The Riches, you might like these other slot machines from Win A Day Casino: Birthday Bash, Chinatown, Heavenly Reels, Jackpot Jinni, Joker's Tricks, Slot-O-Matic.